If you don't entirely keep track of all the designer labels and their various smartwatch releases (like me), you may not have been aware of the Emporio Armani Connected Wear OS device. Well, now we know, and just in time to learn about the latest watch from the Italian fashion house. The new generation Connected watch features a 1.19" AMOLED display and the same aging Snapdragon 2100 chip as the TicWatch Pro I recently reviewed. Like that device, the new Armani watch will use the Tic Health app and Mobvoi's app store in China, although it's made by Fossil Group. "Emporio Armani Connected’s latest smartwatches feature dynamic styling, the latest evolution of wearable technology, and a sleek design that honors the brand’s tradition of precision in watchmaking." — For those who enjoy marketing blurbs. Heart Rate tracking is included, along with "Swimproof Technology" that allows the user to shower, swim, and dive up to 3 ATM. The watch also has fitness tracking applications to go with the built-in GPS sensor, and there's an NFC chip for Google Pay transactions. Google Assistant functionality is also on board. In China, you get Alipay and the Mobvoi Assistant instead. Since this is a fashion-focused smartwatch, there are inevitably several different body and strap combinations. The stainless steel casing comes in silver, black, and rose gold. Strap options include single link bracelets, as well as leather and mesh. Pricing ranges from $295 to $395, and the watch should be available to preorder from the Armani website at some point today. 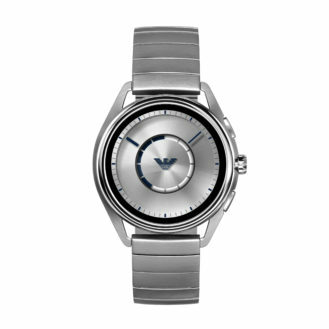 MILAN – July 16, 2018 – Emporio Armani introduces a new generation of touchscreen smartwatches further expanding the brand’s innovative wearables line — Emporio Armani Connected. 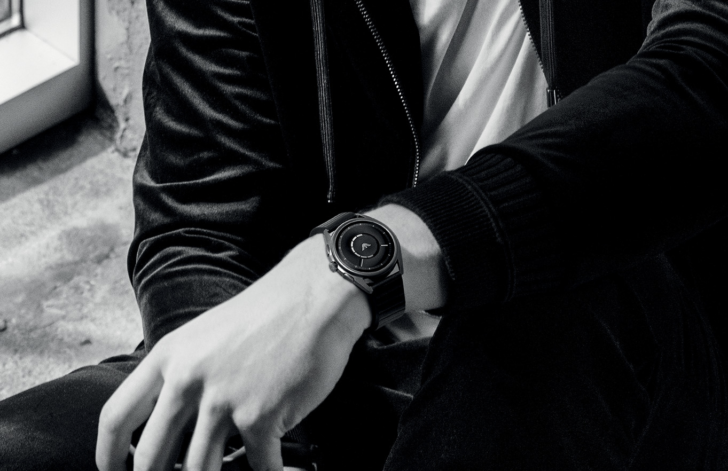 Concurrently with the launch of the new smartwatches, a new selection of exclusive new pictures from the ADV FW18 campaign will be unveiled, featuring renowned singer and songwriter Shawn Mendes, now face of the entire collection of Emporio Armani watches. 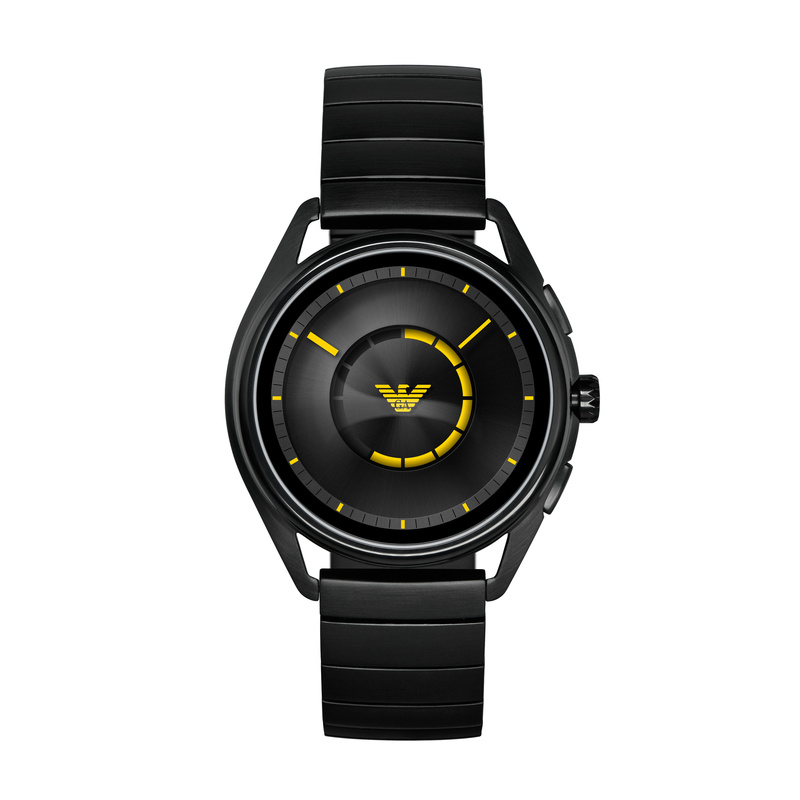 The new smartwatches will be available for pre-sale today on armani.com, and available worldwide in early September at Armani stores and selected retailers worldwide. Emporio Armani Connected’s latest smartwatches feature dynamic styling, the latest evolution of wearable technology, and a sleek design that honors the brand’s tradition of precision in watchmaking. 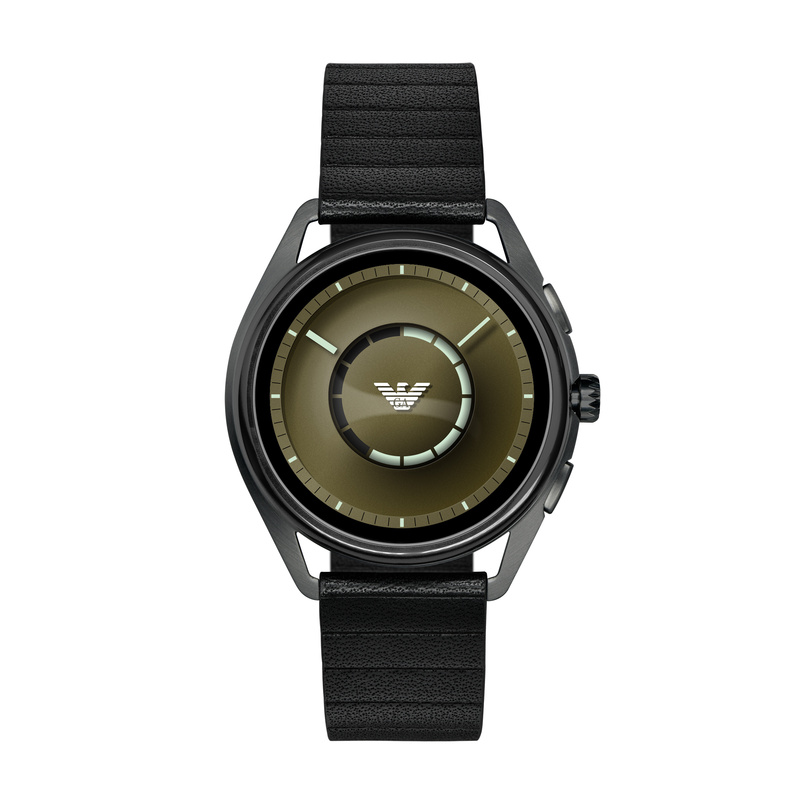 Powered with Wear OS by Google and the Qualcomm® Snapdragon WearTM 2100 SoC, the new Emporio Armani Connected touchscreen smartwatches are compatible with both iPhone® and AndroidTM phones. 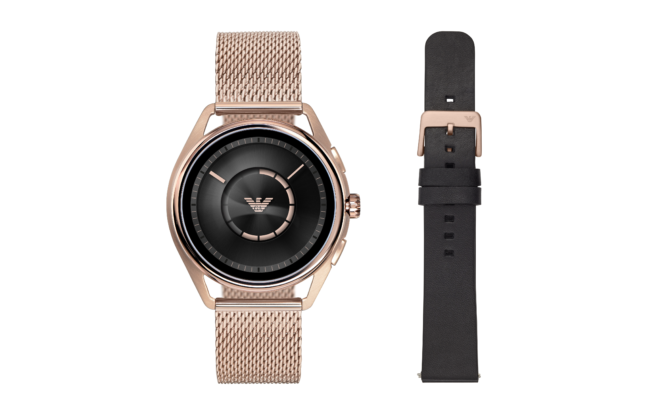 The new Emporio Armani Connected touchscreen smartwatch features the new digital dial designs, a striking stainless steel case, and an eye-catching 1.19-inch AMOLED display with an ambient sensor to enhance battery life.